Inspired by the freedom of expressionistic painting, I seek the joy that comes from new and unexpected combinations of abstract forms, which at times includes figurative references. 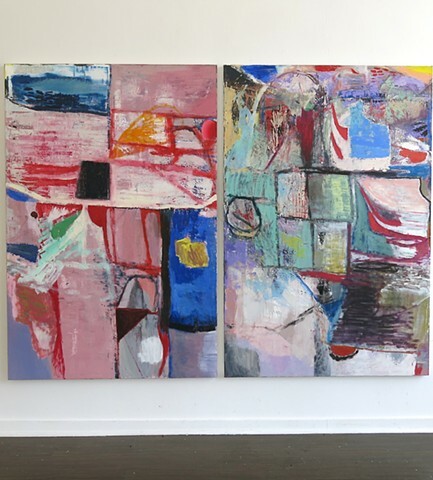 Starting with colors and marks, I develop a field that is added to, erased, covered up, and worked until a surface emerges that embodies the struggle and the play of self-discovery. It is my hope that the resulting artwork will appeal to the viewer on an emotional and visceral level.